Fit is the distinguishing factor between a suit that looks like you stole it off the racks at Ross and a suit that seems like it was tailor-made for you and you alone. Without a good-fitting piece of clothing, even the most wealthy, dapper man in the world would look like a slob. 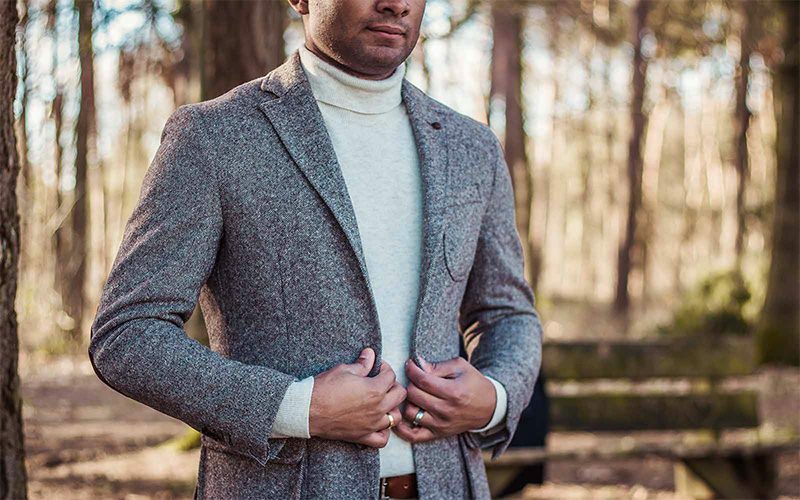 The reason most well-to-do, affluent men in the world look like a million bucks day in and day out is because they understand one of the key investments you can make for your style: tailoring. That’s right. The key to making any piece of clothing look like it was custom-made for you is to visit your local tailor and request some alterations. Now, if your tailor is a master at his craft, you’ll probably get a fairly decent result if you go in blind with no knowledge of what to say or ask for. Usually, your tailor will be able to deliver with or without your ability to speak his language. However, if you want to get the best results every time, you might be better off familiarizing yourself with the occupational discourse, so you can ask for exactly what you want. 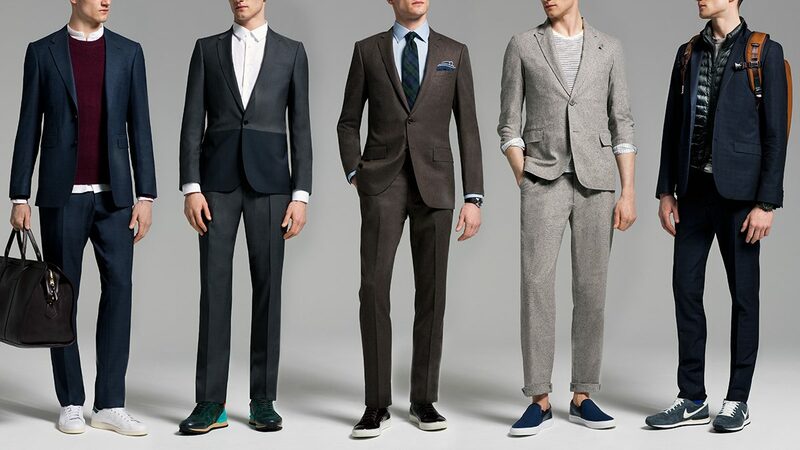 Below, we’ve listed the most-used tailoring and alteration terms you need to know. With this information in tow, you’ll be able to take command of your closet once and for all. Most off-the-rack suits sport sleeves that are too long, as it’s far easier to shorten a sleeve than it is to make it longer. For an ideal, modern look, you’ll want your sleeves to hit just above your shirt cuff (¼” – ½” inch above) while your arms are resting at your sides. Bring Up: Generally, to “bring up” means to shorten a length of a garment. Working/Functional Buttons: Buttons (on a jacket, pants, or shirt) that actually fasten into a buttonhole and operate as a closure. Decorative buttons, on the flip side, are simply meant for show and can’t be fastened or closed. “Bring up/shorten the sleeves (so that they hit ¼ – ½” above my shirt cuffs).” If this is for a suit jacket, be sure to wear a well-fitting dress shirt when you visit your tailor. That way, he’ll be able to base his alteration off your sleeve length. If your jacket has button holes on the sleeves that are functional, shortening the sleeve at the edge might not be your best option. In this case, consider asking your tailor to shorten your sleeves from the top (more tricky, but doable). Like jackets, off-the-rack pants usually are unfinished and run too long for most men to wear. If you don’t do anything else, be sure to at least address the length of your sleeves and trousers. Hem: The edge of a piece of fabric that is (or needs to be) sewn to prevent it from unraveling. 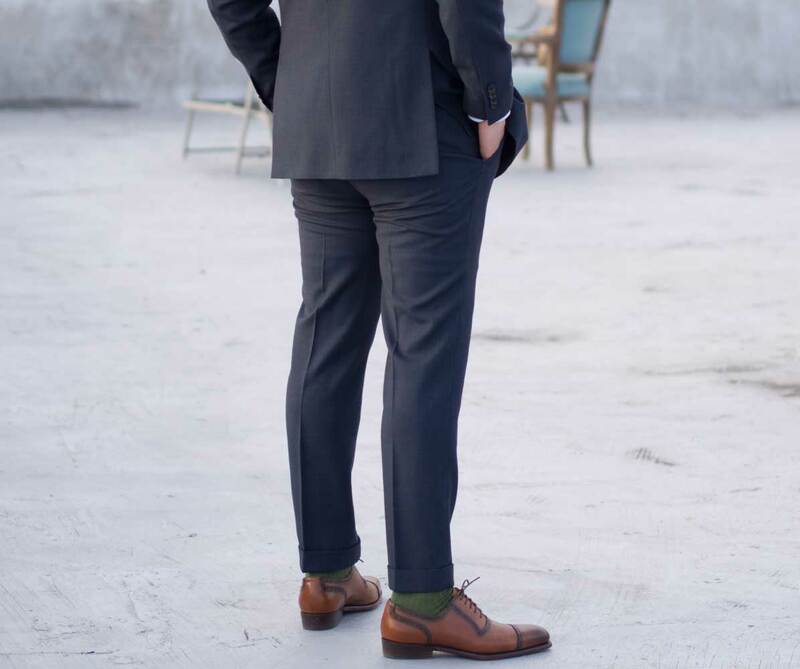 Most suit trousers are sold unhemmed with the intent of you taking them to a tailor to give them a custom fit. Inseam: The inseam is the seam that binds the inner pant leg. It is also the measurement of the length between the bottom crotch and the lower ankle. This is normally the length that pants sizing refers to when they give you waist and length measurements. The opposite of the inseam is the outseam, which measures the distance between the waistband to the hem of the pants. Rise: The rise refers to the difference between a pair of pants’ inseam and outseam lengths. Break: How much of the bottom of the trousers meet the shoes. This can range from no break (absolutely no folding over/pants just skim the top of the shoe) to a full break (one full fold above the shoe). 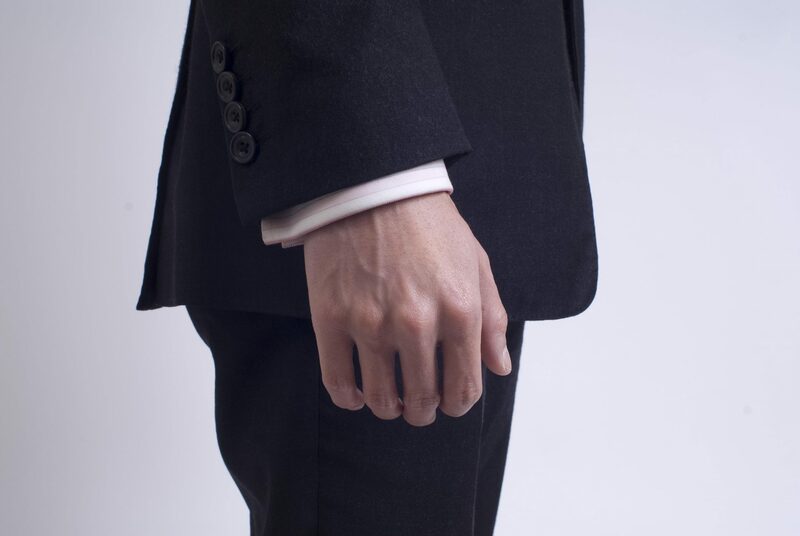 Cuff: Cuffs are intentional folds created by the tailor at the bottom of your pants. They are more traditional than un-cuffed pants, and lend themselves well to trousers that are pleated. 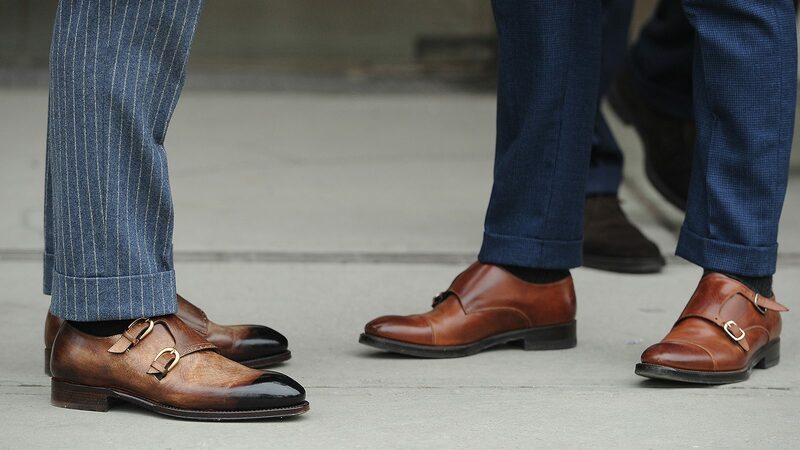 However, un-cuffed hems are better suited to slim, tapered pants. Be sure to let your tailor know if you want cuffs or not so he can factor it into his alteration. “Hem the pants legs,” bearing in mind that you should also mention how you want your pants to break, and whether or not you want them cuffed. Additionally, this is the time to let your tailor know if you want your pants slightly tapered, or if you’d like to keep the pant legs straight (as-is)–see the next section for more information on tapering. Sometimes, you might run into situations where you find a pair of pants that fits your waist and hips perfectly, but that end up being way too baggy around your legs. Or perhaps you’ve lost some weight and you don’t want to give away your favorite pair of trousers just because you’re down a size. Both of these issues can easily be addressed with a tailor. If your pants are too small, however, they can be addressed, but only to a certain degree, and it won’t be as easy or cheap. Taper: Tapering means narrowing, and in the case of fabric, it means when something is ‘taken in.’ Examples of tapering would be the narrowing of a pant leg, the narrowing of a jacket waist, and the narrowing of a jacket sleeve. “Bring in the waist” if your pants fit too loose. If you know your waist size, you can also let your tailor know you’d like your pants to be a 32”, or a 34”, and so on. “Let out the waist” if your pants are too tight. Just note that this will only work if there’s extra fabric in your pants already, and that most of the time, your tailor will only be able to let them out about a half size up. Maybe one full size at most. Most jackets and shirts are sold with no tapering at the waist whatsoever, resulting in a rather boxy, unattractive look. There are various things you can have your tailor do to fix the shape of your jacket or shirt to make it fit like a glove. Suppress (the waist): Cinching/tapering a jacket’s waist to accentuate the “V” shape of the torso. Take in: Another term similar to suppressing the waist, and one that’s arguably more common. Taking in the sides refers to removing fabric at the seams on either side of a shirt or jacket. Darts: An overlapped/folded over and sewn piece of fabric that’s meant to add dimension and shape to a garment. Darts can be added if your jacket or shirt fits relatively well and you want a more defined shape without taking in/removing fabric. Vent: A slit or slits located at the tail of a jacket. Center vents (1) are traditional, whereas double vents (2) are more modern and will allow for an overall more fitted jacket. If your jacket has no vents, consider adding 1 or 2 for a more tailored fit and increased ease of mobility. “Bring in the jacket/shirt waist.” Have your tailor pin you up (mark the exact alterations he’d make with pins while the jacket or shirt is on you) so you can see how it would feel. Once he’s done pinning you, try moving your arms around, hug yourself, and pretend to hug someone else. If at any time you feel like you’re going to rip your clothes or tear out a pin, then it’s too tight, and should be readjusted. This is also a good time to let your tailor know if you want any darts or vents. Sometimes, tears can’t be helped. You get caught on something, you sit down in a weird way, life happens. Small holes and rips that happen near a seam are usually fixable. But of course, this is on a case-by-case basis. Your tailor will be able to decide whether or not he can do it justice. Darning: A sewing technique used to repair holes with only a needle and thread. This technique is usually reserved for mending holes that don’t run along a seam. 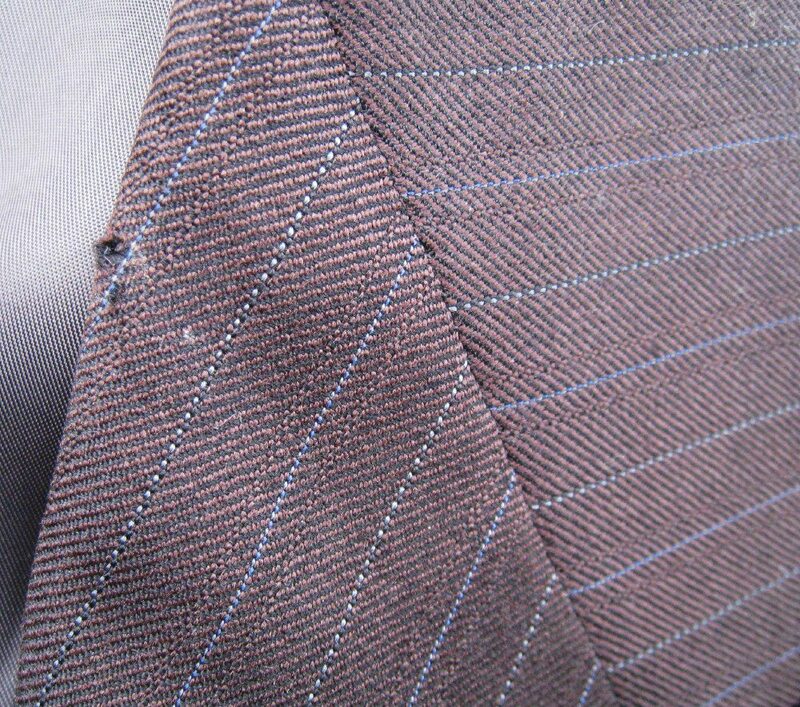 Overweaving: The process of fixing small holes by using fabric found elsewhere on the suit, and weaving it together in order to create a near-invisible patch. Reweaving is reserved for small holes. Reweaving: The process of literally weaving individual threads into the original cloth to stitch a tear back together and make it appear as if it were never torn in the first place. Once again, this process is reserved for small holes and tears. Assess the hole or tear in your garment to see if it can be fixed by one of the above methods. Note that fabric that is badly worn or damaged, and holes that are too big (larger than 1.5”) are generally unfixable. Other conditions, like patterns or light garment color, will affect the degree of difficulty (and cost) of fixing the hole. Replacing buttons and zippers is one of the easiest and most common alterations around. If you have a missing button or a broken zipper, or if you want to replace your buttons or zipper altogether, most any tailor should be able to help you out. Replace your button (one or all) or zipper. Seriously. It’s that easy. Obviously, if you want to replace all of your buttons (say, if you’ve misplaced the spare button your jacket came with), you’ll need to select a new set that’s similar in size. Same goes for the zipper. Depending on your tailor, he’ll either have buttons and zippers to choose from, or he’ll send you to a fabric or craft shop so you can pick it out yourself. Now, try on all of your garments and see if anything needs to be addressed by a tailor. Then, pay him a visit with these terms and considerations in mind. 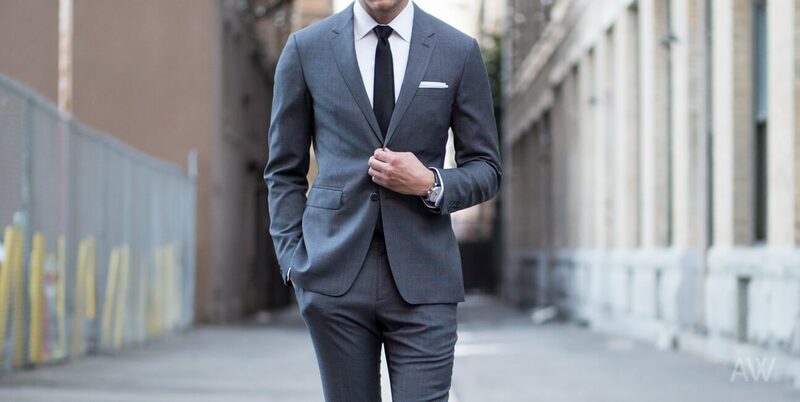 Your style will thank you for the better fit, and your tailor will thank you for coming prepared.